Managing a customer’s journey across time and touchpoint is a labor of love. Attempting to manage different journeys for different customer types can be, well, a labor of lunacy. The baseline journey is a means for making a service for many types of customers a manageable feat for you and much more lovely for them. People don’t start a journey because they’re looking forward to the tedious or boring. They engage because you’re promising to increase happiness or remove some form of pain. It’s the value proposition — the reason to even care about getting started. A differentiated value proposition stands out from the crowd. It’s different from what’s out there. It zags when others zig. But what stands out and speaks to one type of customer might not be what rings the bell of another. One traveler might love amenities and roomy seats on board. Another might appreciate timeliness and reasonable prices. 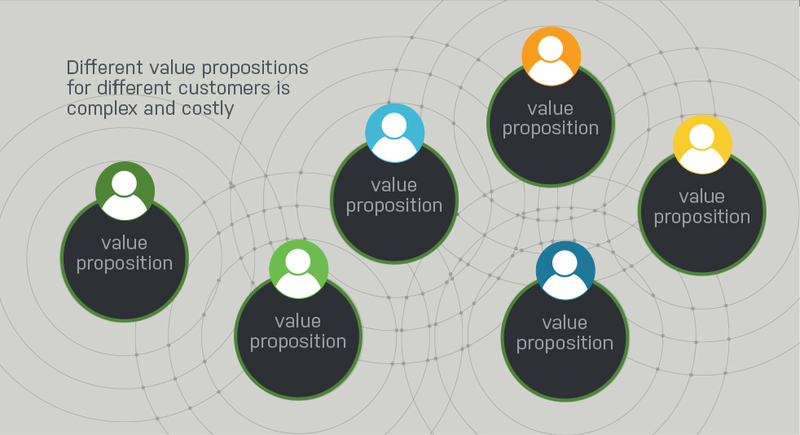 Different value propositions appeal to them. And so it all starts to sound like different journeys through different services for different customers. Managing these service differences can be complex. Delivering on these service differences can be costly. Illogically, we’ll turn to an edible atomic model to simplify things. Start by considering a core nucleus, a central value proposition that can somewhat appeal to each customer type. Around that core you can layer more. To mix metaphors, that core is like the cake of your cupcake. But not your icing. The icing is that one extra thing that sweetens the value proposition to a specific customer type. Different types of customer might find different types of icing appealing. But each group’s icing is the one extra thing in the atomic model that takes the journey from being somewhat appealing to downright scrumptious. 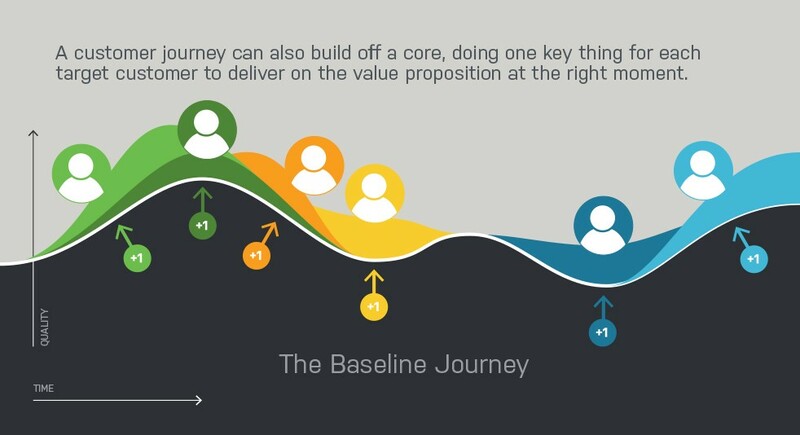 What makes this approach more manageable is that a core value proposition also speaks to a baseline journey–a common backbone to a service that you can more easily deliver at scale across all the customer types. 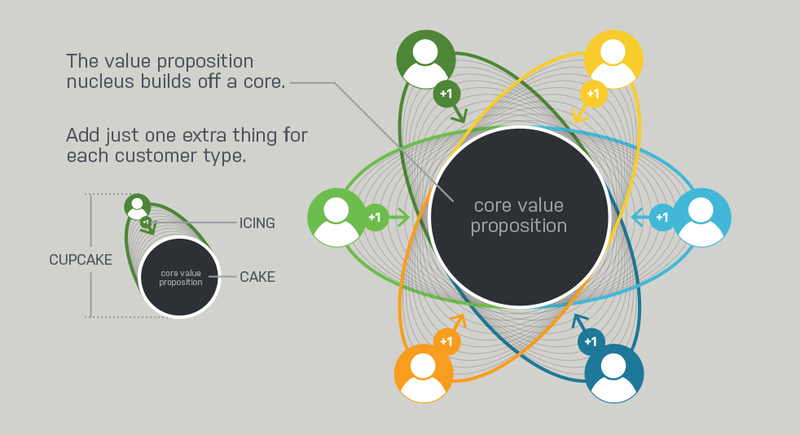 On top of this baseline, you can then find one thing that you can offer to each customer type to deliver on the icing in their value proposition. This might mean embellishing and maximizing a peak moment in the experience, eliminating a negative trough moment, or ending stronger than normal. Just check out the playbook for improving customer journeys for ideas. First, this approach is obviously cognitively easier to manage. You have a single baseline journey with a few variations, instead of attempting multiple different journeys, each evolving on its own. Second, it’s easier to strike a coherent message across the customer types, both in whatever marketing you might have to initiate the journey and in the conversation you have with the customer throughout their journey. Third, the back-of-house operations are simplified as they’re orchestrated around delivering a single baseline journey, not asked to dance in dozens of different ways. 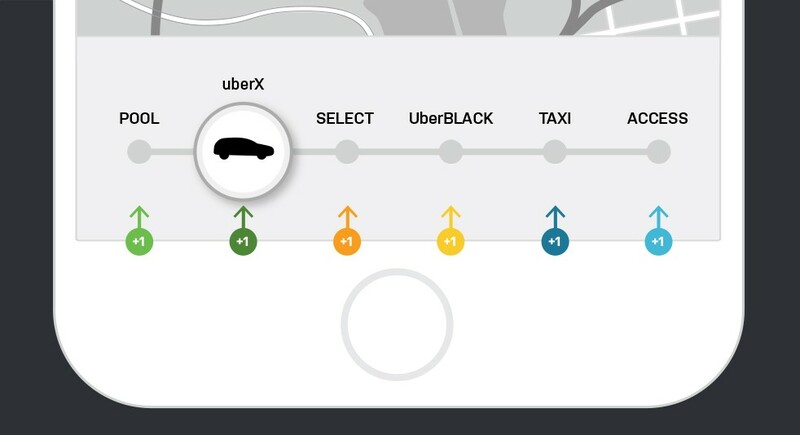 Okay, I can’t say that Uber used a baseline journey as their guiding light, but I can say it’s a pretty useful example of a baseline journey in action. While Uber overall promises you confidence in easily getting around town, there are different attractions for different customer types. The more economically-minded customer may like the low cost of the UberPool service, which take a little longer but have a much lower cost by using carpooling. But a customer seeking comfort, speed, or exclusivity may prefer the UberBLACK service, a town car just for you with water, a mobile charger, and a well-dressed driver. But the baseline service? It’s the same. Start with the app to order a car, track your driver as s/he arrives, take the trip, and then you can see your charge and rate the driver anytime after you exit. Uber delivers differences to the baseline service based on a little swipe you make before you order the car. 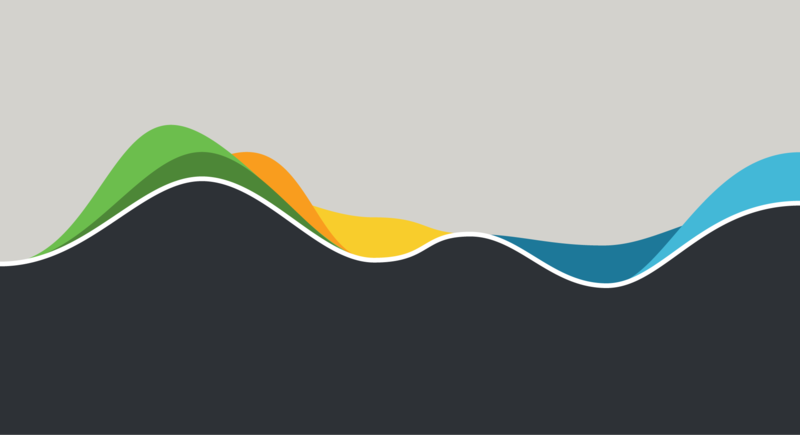 That selection serves up different peaks or valleys, depending on what type of customer you are, or what type of customer you were at that moment. Yes, baseline experiences even help solve for that complex problem: what happens when the same customer fits into two different types all in the same day. A team of designers focused on the capabilities of human-centered approaches to improve products, services, and systems.